→+30 Amazing Sites to Make Money Watching Videos Online! Do you want to make money watching videos online? You will LOVE these websites that pay you for that If you want to make money online doing something as fun as watching videos this post is for you! It's possible to earn some extra cash watching videos, many sites allow you to earn cash doing that! Without wasting any time let's check out the best sites where you get paid to watch videos online. 30 Ways to Get Paid to Watch Videos Online! +30 Ways to Get Paid to Watch Videos Online! 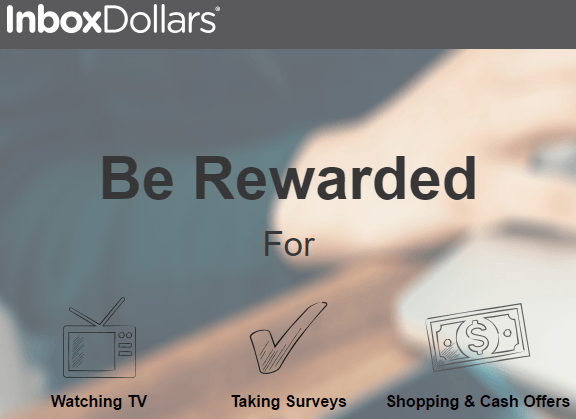 Swagbucks is a very popular reward website, but did you know that you can earn money by watching videos too? 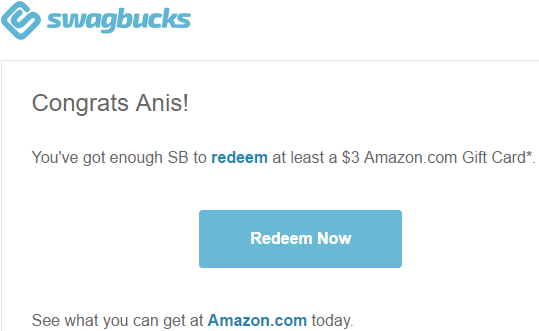 If you want to earn some extra cash, Swagbucks is highly recommended! I have written a review about Swagbucks if you want to learn more about it. 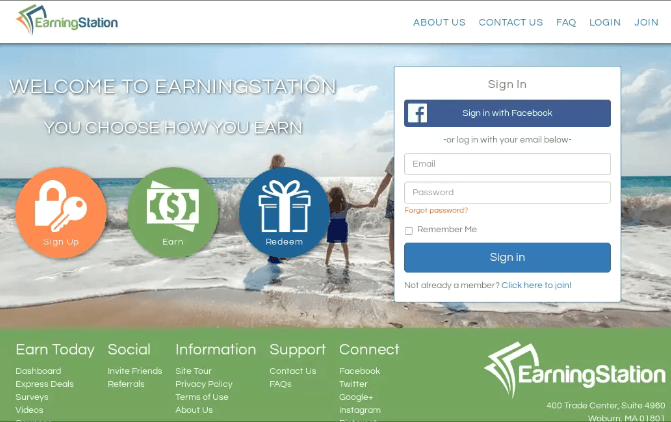 Earning Station is a website that is free to join where you can make some cash on Paypal or through gift cards watching videos. This is the perfect site to earn some money fast online every month. However, if you are not from the United States, the earnings will be minimal. What I like about this site is when you watch videos there is an auto-play feature that really makes the process easier. To increase your earnings, you can refer your friends. Watching videos is not the only way to earn, you can take surveys, complete offers and more. 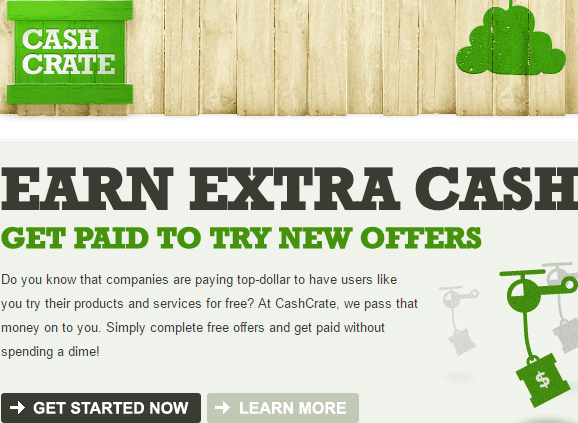 Cashcrate is another site where you get paid to take surveys and more like all the sites mentioned above. Yeah, you also earn PayPal money by watching videos online. There are many gifts cards that you can redeem your points for, you can get paid in bitcoin currency too. You have to manually watch the videos, so no auto-play feature here. You earn 2 points for every video you watch. 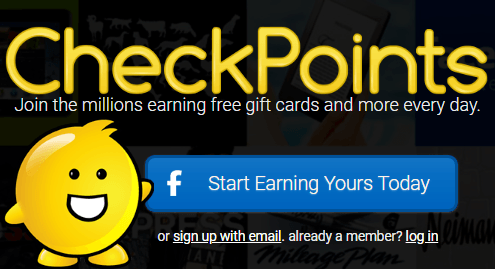 Checkpoints is a site that pays you to complete offers and surveys, but you can earn money by watching videos with their app. A friend of mine makes a few hundred dollars every month from it, but he does a trick to earn that money. Their app auto-plays videos like Earn Honey, my friend uses a phone where videos keep playing all day, but he constantly needs to check if the videos are playing as sometimes they would stop and you need to click on a button to make them play again. What I don't like about checkpoints is the fact that that they don't support Paypal and that's bad. Update! Checkpoints do support Paypal! Their app is available for Android and IOS for many countries. That's another popular website it's similar to Swagbucks it pays you to search the web, take surveys and more. Perk has an app that plays videos automatically; some guys earn money while they sleep with this app. Here's a video he made about Perk.tv, you can see how he makes money from the Perk app. To increase your earnings, you can invite your friends, people from the United States and Canada are the ones that make the most money from this site. Payments are made via PayPal, Bitcoin, and gift cards. You have to watch videos manually as there is no autoplay feature. With this website you can earn easy money online doing many things, like clicking, completing offers, referring your friends and more. You can also get paid to watch videos online. However, the videos are not passive. But it's very easy to navigate through the site and earn points doing different simple tasks. You need to have a verified Paypal address that you need to link to Insta GC. Minimum cash out limit: 100 points for gift cards, 5,000 to cash out via PayPal. This is an app that allows you to earn money watching videos; it's owned by Perk the site I have mentioned earlier. Since it's owned by perk, you can redeem all the points you earn with this app in your Perk account. You have to watch the videos manually here too. Another great site where you can make money watching videos is Inboxdollars. I have talked many times about this site on my website but I mainly talked about it as an opportunity to make money doing surveys and completing offers. Inboxdollars will give you a long list of videos to watch, you will get paid when you watch the whole list that Inboxdollars gave you. Payment Methods available: Inbox epayment (prepaid visa) or check. YouGov is a website that I'm familiar with, I have used it different times to earn some extra cash. I remember the only thing I did not like about is their points system, you have to collect a specific amount of points (which was confusing) in order to cash out. Yougov allows you to earn some extra cash watching video commercials online and video ads. PrizeRebel is a website that used to earn me $5 per day doing different tasks. I remember when I was using PrizeRebel to earn money completing offers I was able to let it play videos and earn money while I am doing other things. So basically after 1 or 2 videos, an ad will play and that's how I'd earn. You can earn 55 points for every video ads you watch which is not bad because you can literally earn cash watching videos while you're sleeping. With that said, don't expect to get rich with this because although the earnings you make watching videos are hands-free it's still peanuts. But I have to say their surveys are really good paying. If you do all the tasks Prizerebels offers you're good to go and earn some good extra cash! You can watch different types of videos and get paid through Paypal which is cool. With CreationRewards you can earn money watching TV commercials, tv shows, video ads and sometimes even product reviews. To earn points you have to watch the video for at least 30 seconds but keep in mind that some videos may ask you to leave your opinions about the video you have watched. My Points​ is a VERY legitimate and reputable website that has been around for many years. When I say for many years I mean 23 years which means it's even older than Google who was founded in 1998! This just goes to shows how good MyPoints is. So as the name suggests you're going to get paid in points, I'm not a fan of getting paid in points but MyPoints is good when it comes to earning extra cash. There are different ways to earn and you can earn up to 700 points per day watching videos. The good thing about MyPoints is you get to choose which type of videos you can watch. SendEarnings is a company owned by Inboxdollars which a website I have shared with you above where you can earn money watching videos too. Since Inboxdollars treats their members right and offers them good income opportunities you can expect the same treatment by Sendearnings. 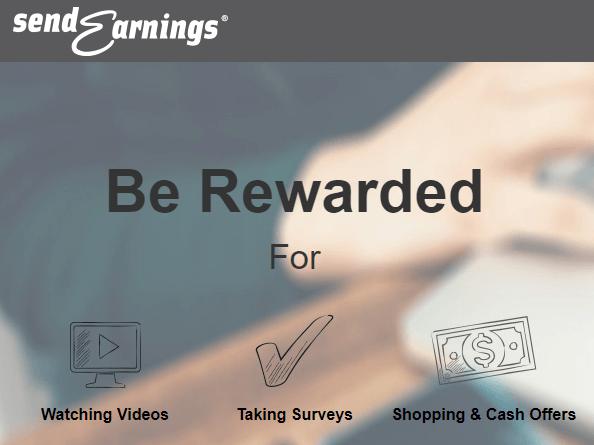 This website pays you in cash so you don't have to deal with earning points and you will even earn $5 as a sign up bonus. Fusioncash is a GPT site (Get paid to) which enables you to earn money doing various tasks exactly like the sites I have talked about above. But since this is post is about making money watching videos. With FusionCash you get paid to watch 10 videos per day. The videos you get paid to watch at Fusion Cash are usually 5-30 minutes long and each video will pay you 1 to 60 cents per day. Grabpoints is another site that uses points as their currency, you need to collect 2,000 points ($2) in order to cash out. With Grabpoints you get paid to watch ads and commercials. With Grabpoints you can earn up to 10 points per video, there are many videos to watch which makes is a good site to earn even though you have a lot of points to collect in order to earn that damn $2. But at the end of the day, you're just watching videos. But the good news is you don't have to stick to your computer screen and watch their video advertisements. You can very well let the videos run on your smartphone or laptop and earn money while you're just chilling or sleeping. Jun Videos: Points depend on the length of the videos you watch. VideoLab: 10 points for every 15 videos you watch. EngageMETV: 3 points for every 3 videos you watch. The downside of this site though is you have to live in the US to be a member. Gifthulk is another great site to watch video ads for money. There a feature within Gifthulk called Gifthulk TV. You will need to watch a TV round which will make you 10 hulk coins, TV round means 10 videos, when you watch 10 videos it means you have watched a TV round. You are allowed to only earn 10 hulk coins with this TV round feature. Gifthulk is definitely a fun way to earn money. GetPaidto.com is an exciting and fun website where you can earn money watching videos and even listening to radio. Getpaidto.com is partnered with many websites that will make you money watching advertisements and commercials. Engagemetv: get paid to watch video reviews, video trailers & more! TokenAds: Lots of video ads to watch & earn money from! Superrewards: Another website loaded with videos and ads to watch. Low Earnings? Here's a Solid Income Opportunity! Slidejoy is a bit different than the sites I have mentioned above. Slidejoy is an app that allows you to earn to earn money by unlocking your phone. So basically, you have to download their app on your smartphone. After you downloaded the app you will start seeing advertisements on the lock screen of your smartphone. When you want to unlock your screen you will need to swipe left to learn more about the offer or swipe up to dismiss it. If you want to see a different ad then you have to swipe up. These ads you watch can be Youtube videos as well. To be honest, when I first heard about Successbux I thought it was a scam because of the spammy looking name. After having a look I realized I was wrong. Although Successbux is a new site (launched in 2012) it's actually a valid site to use to earn some extra bucks watching video ads and doing many other things. With Successbux you're also able to earn extra cash listening to music. Appnana is a website that allows you to earn cash installing and testing different apps on your phone. Appnana pays in points, you need to accumulate 30,000 points to cashout $5, they offer different ways to cashout. Each activity you do within the site will earn you a "nana" point. One of the activities is watching advertisements from your mobile device. Shopkick.com is a free app that allows you to save money shopping but there are many videos about products you can watch to earn "kicks" as they call them. Each video will earn you 10 kicks. With You-Cubez you earn money viewing and watching videos. You-Cubez is basically an advertising company that allows advertisers to sponsor their websites and videos. The advertisers are going to pay You-Cubez to give them views to their videos and websites. You-Cubez is going to give a cut of their earnings to you when you view the advertisers' website and ads. You can cashout from this site once you reach $8 via Paypal or Payza. 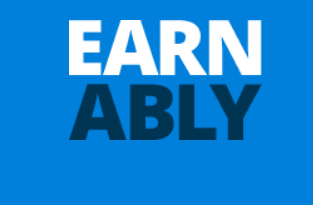 With EarnHoney you can earn with your smartphone or computer. All you have to do is start the EarnHoney playlist called Buzz TV and let it earn money for you while the videos are being watched. EarnHoney has a currency called Optin (1 Optin = 10 cents). If you prefer watching videos on your mobile device you can install their app called TV Glee app. Once you have 50 options in your account you can request a payment via Paypal. Viggle is owned by the company I have mentioned in this post Perk and it's another opportunity to earn cash watching videos & TV. In addition to that, you can also make money watching popular videos. What's Better than Watching Videos? A Full-time Income! HowtoWatch had a contest recently that would pay you $2000 to watch 100 hours of TV but it has ended. But if you sign up to their newsletter you will be able to get notified whenever they launch a new contest because they do have contests like these regularly. I think it's a good deal to earn $2000 to watch 100 hours of TV. Nielsen released regularly lists of the top watched TV shows and most popular music, this information is gold for the filmmakers and TV shows owners because Nielsen gives them data on what people actually want to watch. That's why Nielsen is going to pay you to watch different types of movies, tv shows so they are able to see your watching habits. Nielsen has regular $10,000 monthly sweeptakes, where they give away $120,000 per year. As a member, you will earn multiple entries. Yes, you can get paid to watch Netflix movies & TV shows but you can't just relax and enjoy the show because if you want to get paid you need watch movies & TV shows and help Netflix categorize them correctly. You need to help Netflix show the right content to the right people by showing better recommendations to the Netflix subscribers. People that make money watching Netflix are also known as Netflix taggers. Market Force Association is a great opportunity for movie lovers, MFI allows you to make money watching movies and attend theatres and movie premieres. 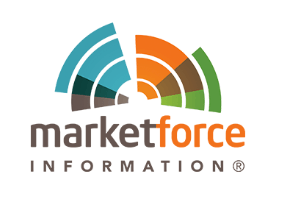 While people dream going to watch movies for free you'll get paid for it with Market Force Association. If you sign up and become a member you will be called a CFA (Certified Field Associate) and you will earn when you do field visits. By field visits, they mean attending movie premieres and doing the activities they ask you to do. Market Force will send you an authorization letter which will allow you to attend these movie premieres. The bad thing about Market Force is they only accept members from the US & Canada. Irazoo has been mentioned on popular sites like Yahoo, CNN, and the Wall Street Journal. There are surely other sites where you get paid to watch videos, but most of them are scams like Paid2Youtube that claims you can get paid to watch Youtube videos. Of course, you can't make a lot of money watching videos, it's just a way to earn some extra cash. ​The Best Work From Home Program for Newbies! ​You will never watch a video again if you join this community. Do you know any good site that pays you to watch videos online? Don't forget to drop a comment if you have questions! Smart Dollars Club Review – $300 a Day? LOL, it’s a SCAM! This good information. At least there are ways to earn money while watching videos online. Even while sleeping auto play videos would still help one to cash some money. That’s really dope. But i read a review about swag-bucks that is really hard in cashing out the more earned that one needs to fulfill some task before able to cash out his money. How true? It depends Kehinde, some countries are terrible when it comes to surveys and making money watching videos. I’ve received a lot of invites to these online money earning opportunities, by watching videos. Even people advertise on social media but I never thought they are legit, especially if you have to invite a lot of people to join to make earnings. Now I know how this works. I guess, if you have time to spare, it wouldn’t hurt to try. Also, thanks for the hacks and tips. Great information. You’re welcome Ernst! Thanks for dropping by! 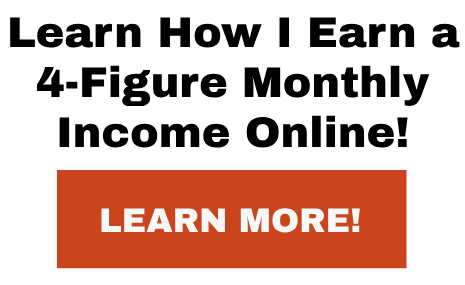 This is interesting, because it’s one of the easiest ways to make money out there. Of course, you won’t make a ton of money, but some extra cash to tie up loose ends is always a good thing and I can’t think of an easier way than just watching videos. I’ve done this with Swagbucks, as well as Inbox Dollars and one or two other sites. But you put together a really good list of sites to check out and many of them are new to me. Thanks for sharing! I’m going to save a link to this article for future reference. I have seen many things to make money online by completing surveys and I even joined a couple but it never amounted to anything. I wonder if these ones are different, I never heard of getting paid to watch videos. 100 video’s would take up quite a bit of time wouldn’t it, for 1 $ ? I think its great to have two of the sites linked, the perk, viggle and app trailers, multi tasking at its best. Bout how much money can you say its possible to make on YouGov? How much is 700 points translate to cash? Netflix, what!!! Between what my kids watch and what my b/f and I watch we would be perfect for this! Hi Amanda, if I remember 700 points is like $3 or $2. Yes Netflix offers a good opportunity to earn money watching videos. I tried watching videos online with a few of the companies listed in this review. I agree that they are legit and you do receive something for your time but one has to ask themselves, Is this really worth the time you will be spending for pennies per video? I personally would rather invest my time in your top recommendation to earn decent money online. Great Review, keep up the good work. Hi Jason, I agree Wealthy Affiliate is a better way to make money online, thanks for dropping by. thanks for sharing this insightful post with us. I can say i have tried many of these platforms before and i was able to cash out from some of them. I withdrew 100usd into my paypal account from swagbucks sometimes last week; cashcrate and insta GC also paid ne some weeks ago; i can say your post is an eye opener and i will check on other site you have listed. i think Perk.tv is the best platform. i hate the interface but i think earning perk points are far more easy than other platforms. you have any website earn money for 2017? Watch and earn is best way to online earning thanks for making earning related content nice post so impressive and keep sharing. Great post Anis! Many great sources there you’ve shared, I actually did a video couple of months back regarding Paid2YouTube which was working well then and very popular for getting paid to watch videos, but lots of viewers where complaining they where viewing YouTube videos with zero credits where being added! In any case as was getting many complaints I took the video down and recorded another one with other websites that work better. Very little to be made though out of this approach, when you have a lot of leisure time and are a video addict do it ? Thanks for your comment John, but I’m sorry for obvious reasons promotions are not allowed here. If I sign up to watch a video, what kinds of things are these videos about? Usually advertisements of cars, clothes and other things like that, just like the advertisements you see in Youtube. Great article Anis its really informative ! As I read your article I kept thinking to myself ‘this is a 22-year old’. Wow, you are impressive. Nice article and I had not heard of any of these websites either – sad that most cater for USA. But still a great article. Keep up the good work and best wishes. Thank you Adelaide! Some of them work for worldwide user too! 🙂 Thanks for dropping by and have a great day!